Cordova Mines is located 13 Km northwest of Marmora. The village, with a population just over 120 people , straddles two counties, (Hastings and Peterborough) resulting in a divided school system, and two different telephone area codes. Although the village no longer enjoys its former "Gold Rush" economy, it can boast about its very fine general store known as "Sam's Place" (with an L.C.B.O. 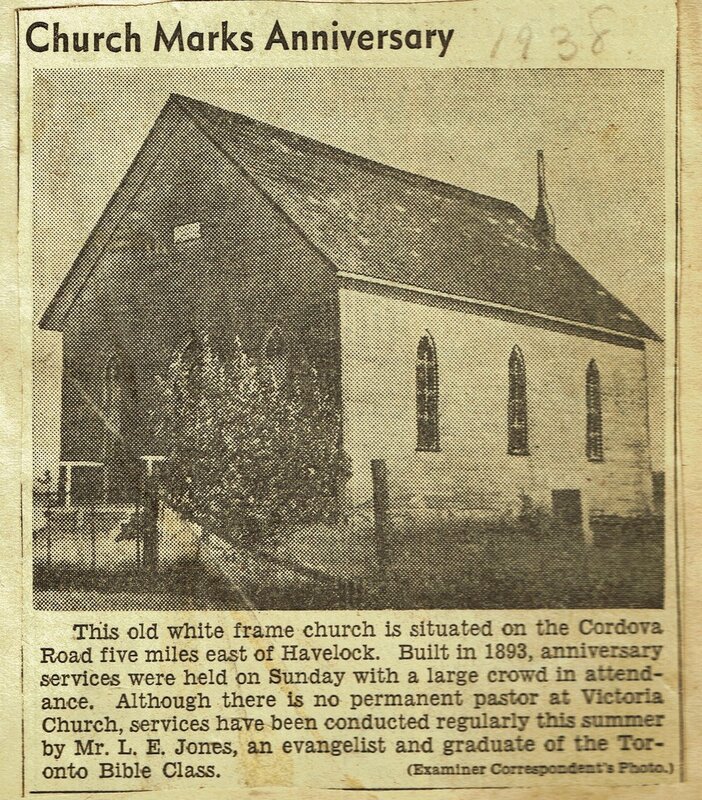 open on Sundays), its well stocked library and community playground, its own volunteer fire department, and two open churches, the members of which are said to be descendants of the founding families. lOOKING WEST C. 1930 Jim Chard adds: Pool hall in the immediate left of the picture and ice cream stand, seen between that building and the store, where the laneway is today. The name was changed from Wariston because of the discovery of gold, and the ensuing mining operations.
" 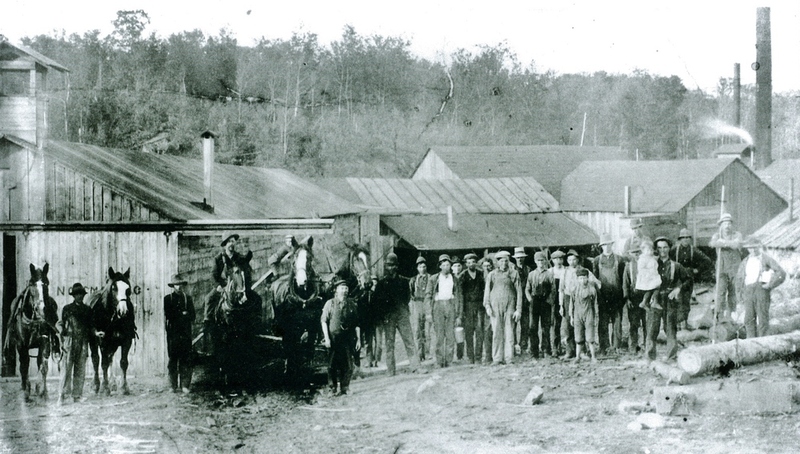 The history of Cordova Mines began in the mid 1860s when a young town clerk and part time prospector, named Marcus Powell, discovered a cave where gold appeared to be gleaming from the walls. Once word got out the area, not surprisingly, boomed overnight. The boom quickly turned to bust when the gold was found to be difficult to mine. 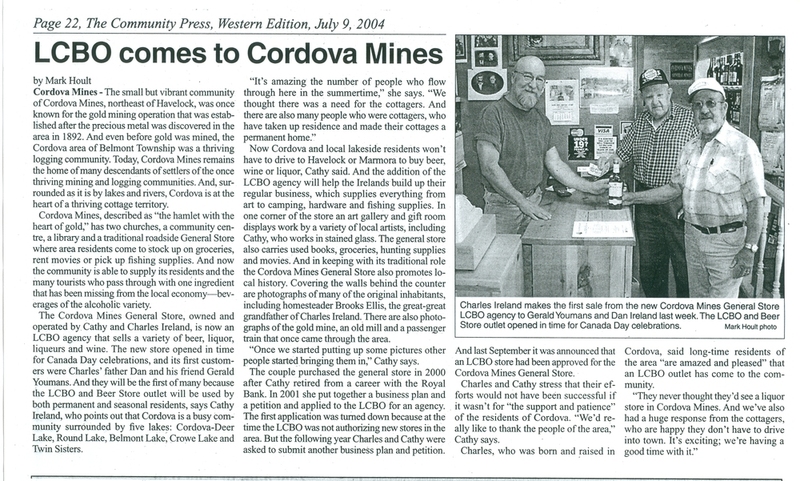 However the world wasn't ready to give up on Cordova Mines quite yet. Powell who had already been associated with the gold find in Eldorado later settled in another mining town, Malone, where he ran the post office for a number of years. 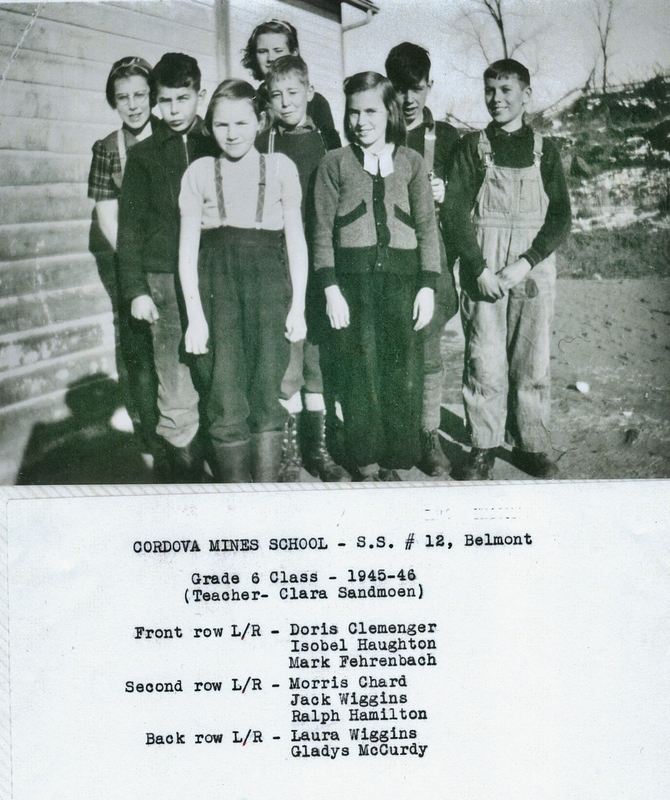 According to Charlie Barrons, there was an iron mine south of Cordova Mines, which was about 300 feet deep. The ore was shipped out by rail. Of course, Cordova is mostly known for its gold, and between 1890 and 1940 the gold diggers of Cordova extracted more than 22,000 ounces. But it was a hard and frustrating production, involving local and foreign investment and eight companies. Interestingly, after 1940 three more companies, with new technology, gave it a whirl, but with not much success. Tragedy struck the small community at various times over the years. 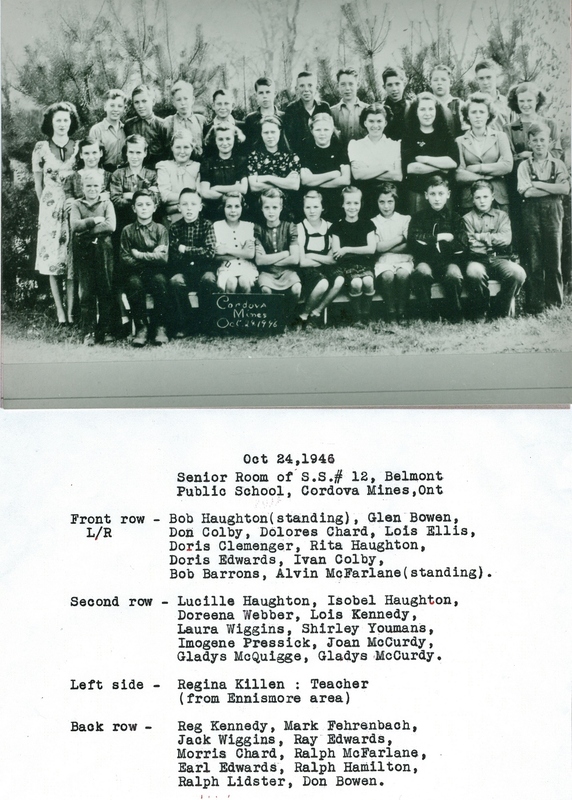 Zella McCulloch, a student at Cordova Mines School, was killed on Wednesday, June 5, 1938, as a result of falling off the runner boards of a moving car; On January 22, 1939, three more students Melbourne, John and Dorothy Johnston lost their lives in a house fire. It was 16 degrees below zero Fahrenheit, that night. On Jan. 22, 1943, 14 year old Helen Jackson drowned in the Deer River. W.L. Wannamaker purchased a store north of the school in 1911. He moved to the Bake Shop by the town well, which he opened and dug deeper and installed an iron pump. In September 1914 a fire destroyed the store. He then purchased a store opposite the original and then moved it down opposite the large church. He was responsible for the sidewalk on the main street. 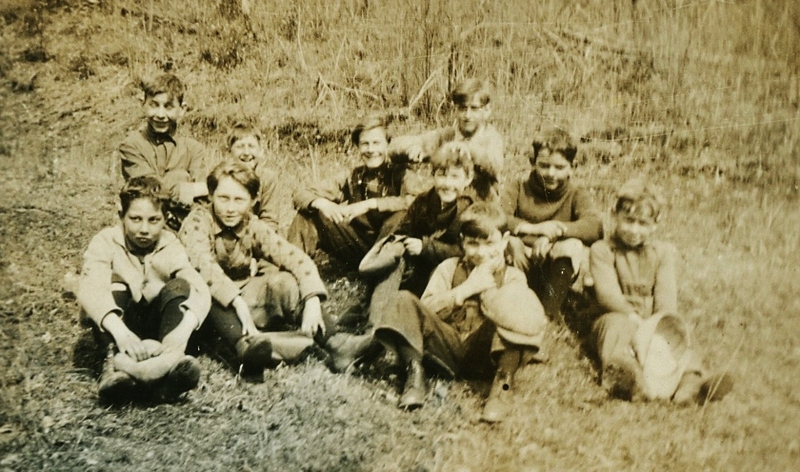 During the war years many of the residents of Cordova Mines volunteered for active service overseas. Some of these people never came home. Aug. 16, 1917 Lucky Escape The young son of Mr. Ira Outwater, of Cordova, narrowly escaped death on Monday.when he detonated a dynamite cap while holding the explosive in his hand.·' As it was he escaped with losing the ends of three fingers and his thumb. The Herald: The following is an account of three deaths, two in one day and the other within three months. The deceased persons were father; sister and a brother of Mrs. Wm. McCallum, of Marmora. 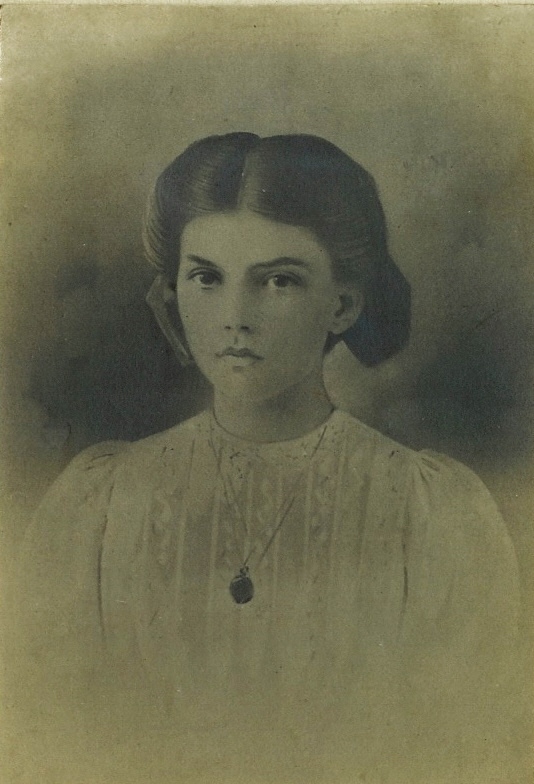 The home of Mrs. Robert Henderson, Cordova,· was doubly bereaved on Friday, March 16, 1923, when the father, Mr. Robert Henderson, aged 85, and daughter Mrs. J. D. Kerr, aged 42 passed away. The latter predeceased her father by about five hours after an illness of four days from pneumonia. 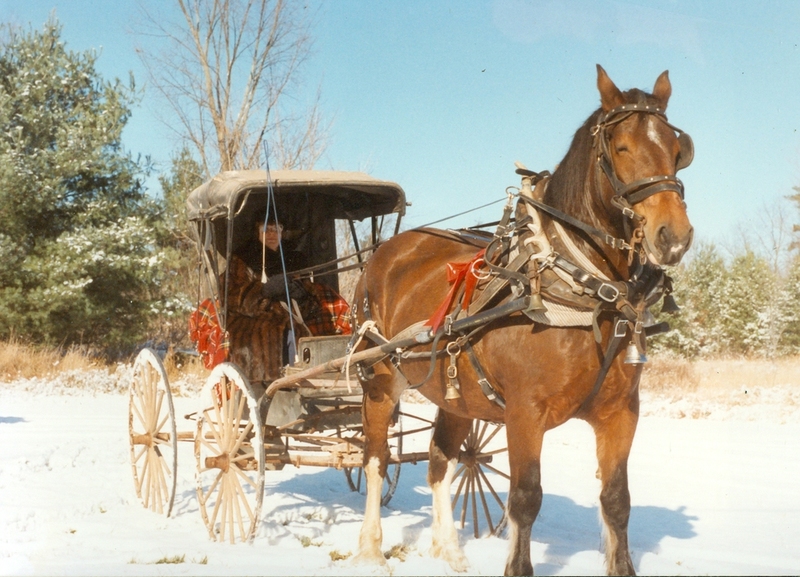 The late Mr. Henderson was born in Ireland and came to Canada when quite young, settling at Marmora, until his removal to Cordova some years later. He was a man of loving and kindly disposition, ever ready and willing to lend a helping hand and had a host of friends who will regret his demise. In his passing a loving husband and father and true friend was lost to the home and community. Mrs. Kerr, whose husband passed away ten months ago in Los Angeles California, where they resided was on an extended visit to the home of her parents when the grim reaper death so suddenly entered, bringing with it double sadness. She is survived by a little son nine years of age. 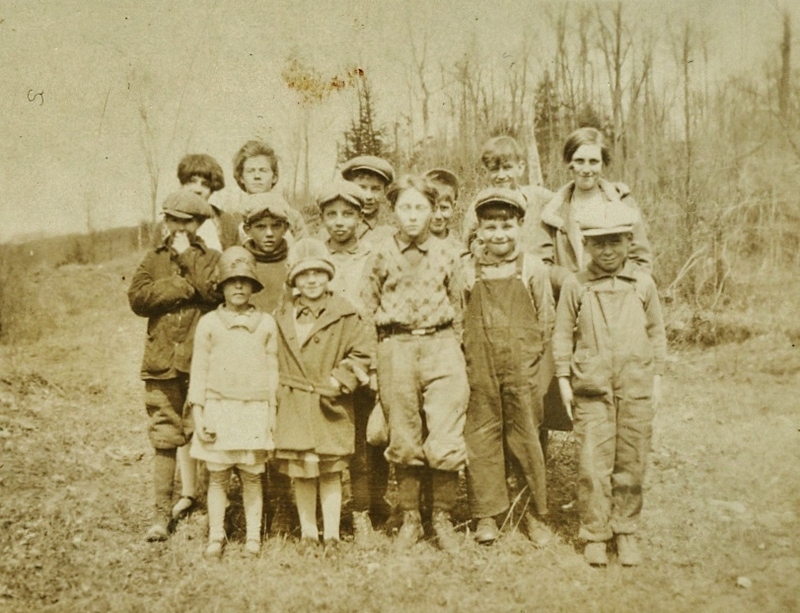 Surviving Mr. Henderson is his loving wife, six daughters and one son- Mrs. William Sanders and Mrs. QuacKenbush, of Havelock, Mrs. Winfred, of Madoc, Mrs. Scott of Marmora, Mrs. George Riley of Marmora, Mrs. Keene, of British Columbia and Thomas of Havelock. The double funeral which was one of the largest ever held in Cordova, took place on Sunday, conducted by the pastor of the Methodist Church, of which the deceaseds were faithful members, the service being held in the· Methodist Church, Cordova. The remains were then laid to rest in a double grave in Rockdale Cemetery. Ruth Tierney goes on to describe another matter of importance.
" A cunning fellow named John Maloney wanted to open a whiskey tavern for the miners but unfortunately for him whiskey was illegal at the time, so, he had to figure out a way to circumvent the law. Finally, after much careful thought, he got an idea he was sure would work but told no one of his plan. For weeks he kept secretly busy in his back yard building a fancy "saloon-on-skids". His dual purpose was to make money and outwit the police. In those days they could not arrest anyone outside their own jurisdiction. Village spotters informed John when Peterborough or Hastings authorities were on their way, then he simply crossed over the boundary road into the opposite county and set up his portable tavern in full view. For many years they tried but could never catch him, for it had become a sort of game that everybody played. Most of the villagers and probably all the miners didn't want him to be caught. His son now lives on a farm just a few miles from Cordova." Mark Fehrenbach writes: "The car shown at bottom left (insert) is a 1930 Ford "Model A" and at time this photo was taken in the summer of 1967, the vehicle was owned by me, and after 1984, my son, Allen. 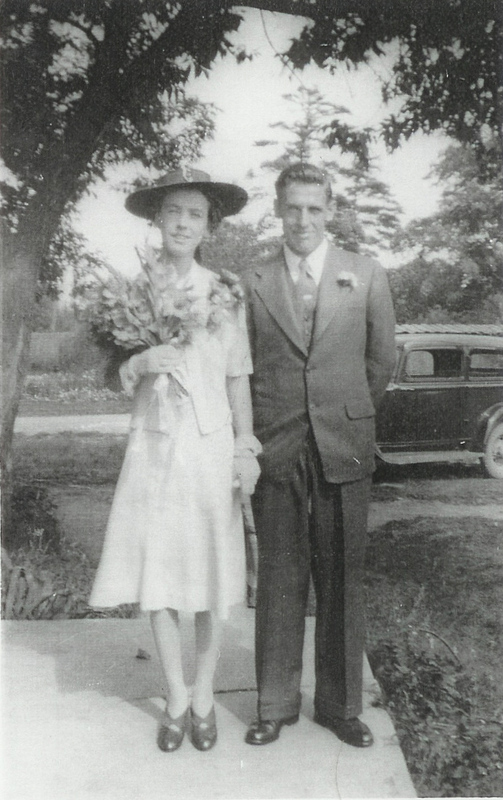 Doug Caverly, shown gassiing up the car and his wife, Doris, operated the store and pumps atthe time the photo was taken. Doug had donned Gerard Fehrenbach's straw hat for the photo opp and Gerard is shown with beard) standing at rear. 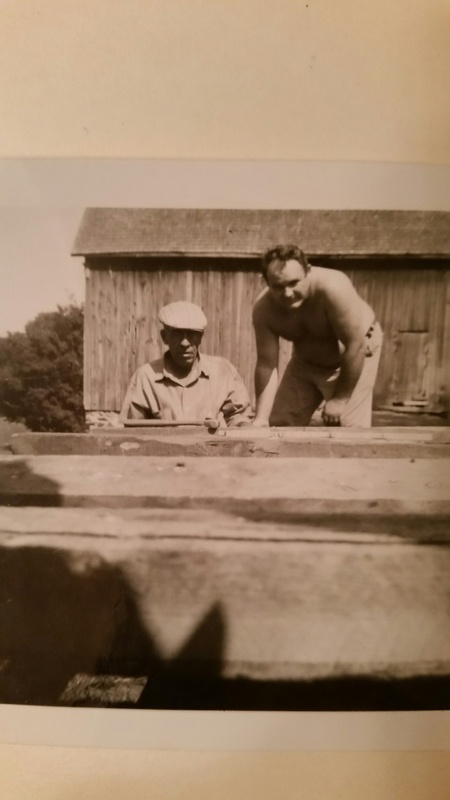 The straw hat belonged to Gerard's grandfather, John E. Maloneyand was last worn by him during the summer of 1947 while living in the brick homestead. The straw hat, the license plate - K9-955 from 1967, the car, Doug and Gerard are still with us as of Christmas 2006." Carman Hamilton Carolyn Bowers Langabeer: "He was such a sweet man ..he would call us every year for the outdoor gospel night ..he was always smiling .. such a blessing." Amy Russel: Love this picture! He had such a sweetheart. 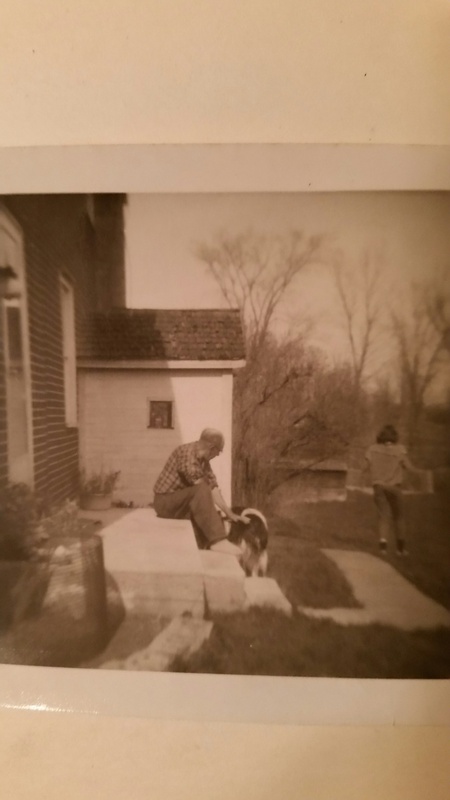 Lisa Hamilton-Howie : My great grandpa. Awesome picture! Mary Loveless adds: My great grandfather was Christy Steenburgh Gail, I think we are relatd. Anne Marie Wilman-Spry writes: Rev. Mary Gifford was my great aunt & sister-in-law to Phoebe & Leona Walker & Flossie (Grandma) Hinds. NEVER A DULL MOMENT IN VANSICKLE also known as "Back o' Cordova"
Driving about 10 kilometers north on the Peterborough-Hastings County Line (Vansickle Road) will take you to the settlement of Vansickle, with a stop crossing over the Crowe River (also named the Deer River) and perhaps a stop to take in the view of the north end of Cordova Lake. 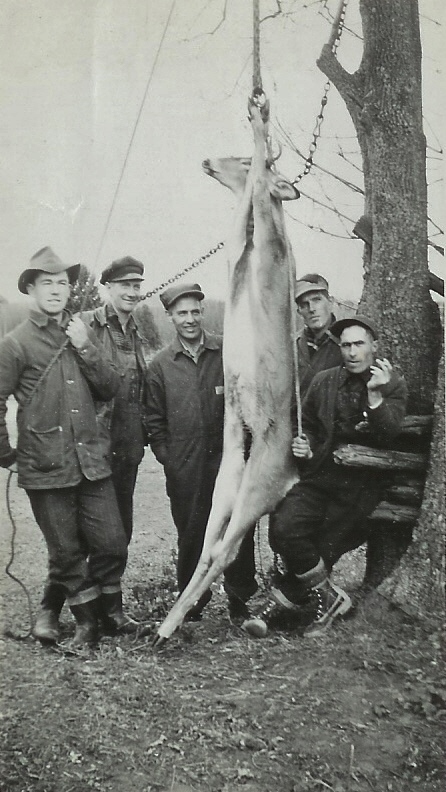 The Coobridge Lumber Company from Trenton openedthe region by sending log booms across Deer Lake, down the Deer River to Marmora, then south to the Trenton mills. Other early history of the site, however, is sparse but it is known that Nathan VanVolkenburg, great grandfather of Wayne VanVolkenburg was born in Prince Edward County andjoined other settlers in theVansickle around 1861. Nathan's grandfather, Jacob, had come to Canada from New York c. 1790. 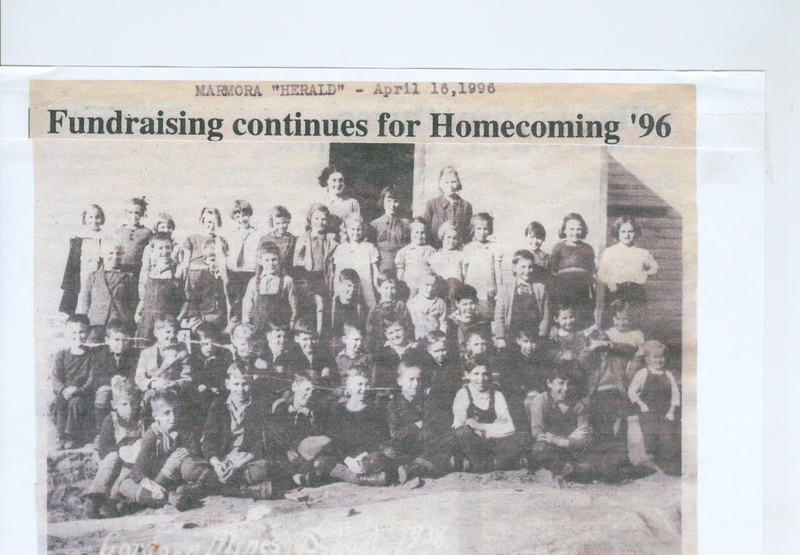 In her 1986 book, "Echoes From the Past" Ruth Tierney wrote: "Percy Ellis, a present-day resident says, "My father Martin came to Vansickle in 1898 and bought two hundred acres for the sum of three hundred dollars. He built a log cabin that still stands on my land just behind the main house, and although I had to replace the roofing with modern asphalt tiles, I've kept the rest of the structure in its original state. My brother was born there". The Vansickles settled at the site about 1925 followed closely by Steve Sopha, Ed and Fred Cole, the Palmateers and the Warren families. Incredibly the place had not been officially named before 1925, simply known as the "Sopha Settlement"
The Sopha House at the end of Vansickle Rd. At an early hour on Thursday morning of last week Lynch & Ryan's new mill, north of Cordova, was burned to the ground. It is not known how the fire started but it must have spread with- great rapidity. A thorough inspection of the premises was made late in the evening and no signs of fire was discovered. The fires were very low and were carefully banked so that the fire could not have started from them. Some of the men were at Cordova re- turning home quite late and parties passed along the road at various times until about four o'clock. The men hurried to the mill as soon as possible, but when they reached it they found that the whole building was down, not a timber standing. This is a heavy blow to the Company as they have a very large cut of logs on hand, and although a new mill will be erected as soon as possible, they will hardly be .able to complete the cut this season. There was only $700.00 insurance on the premises which will only cover a small fraction of the loss. Last year Lynch and Ryan had a mill burned down on the 25th of March, and this is the third fire in less than four years. It speaks well for their aggressiveness and progressiveness that they waste no time in rebuilding and resuming operations. 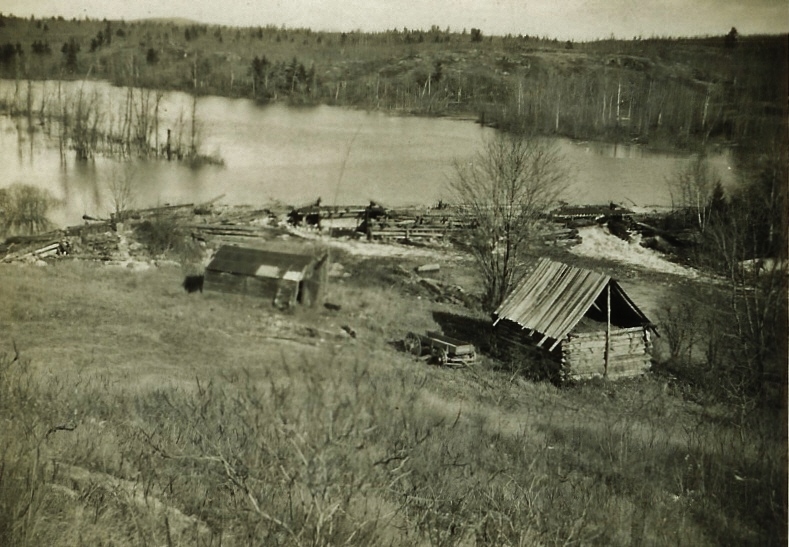 Matt Lynch from Marmora had three sawmills in the vicinity, one located at Shannick to the north-east, a second at Deer Lake near Vansickle and the third at Cordova, a mile or two south. These mills provided employment for the early residents of the area. 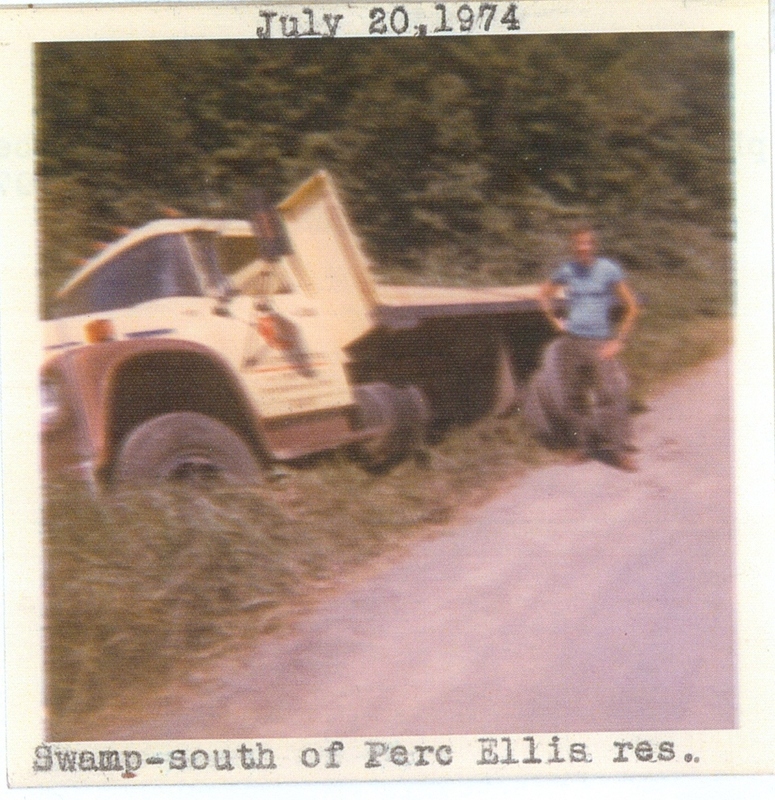 Goldie Ellis (no relation to Percy) said, "My paternal grandfather Matt McFarlin (Click for info.) came from Ireland to obtain work in one of the mills, build a homestead and seek a wife. His dream was realized for he married and fathered ten children. Four of his sons died at an early age, all within three years of one another. He lost two in the First World War, one to polio and the fourth, who was a doctor, succumbed to a heart attack. 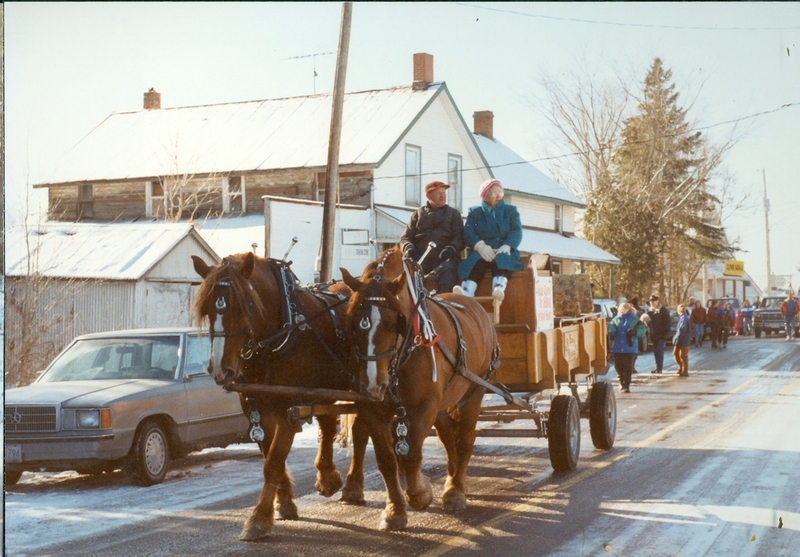 Jack McFarlin, father of Goldie whom he named after the Cordova Gold mine, drove a team and wagon to Trenton for the Coobridge Lumber Company hauling wooden staves for the production of barrels that were in great demand. It was a two-day trip over terrible roads and he had to sleep in the wagon at night to avoid wild animals. Goldie's uncle, Ed Cole, was the postmaster for Vansickle for many years and operated from the rear of his home. Although the post office was closed by the Government, the Cole house is still standing. It shelters a new family. Lori Zapletal wrote: My Grampa Percy Ellis is in the back row on the right. 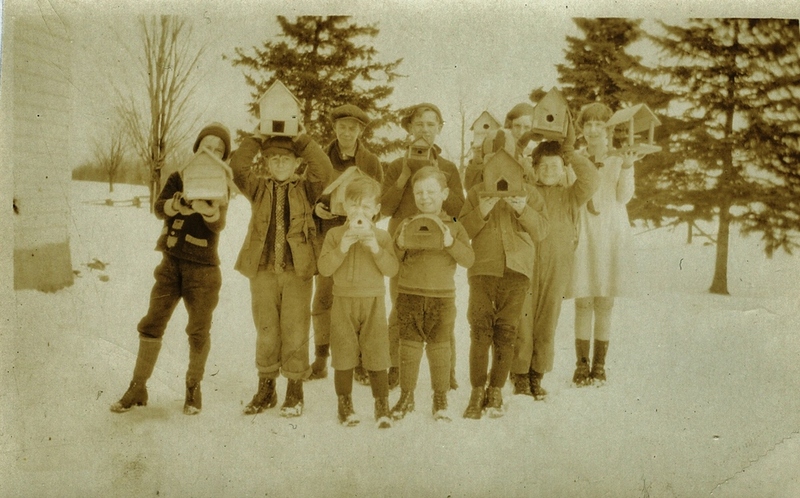 Charles Barrons, in 1996 wrote: The Vansickle school, one-room schoolhouse which was used for many years, was destroyed by fire in 1990 My wife, Freda (Ellis) Barrons and her brothers and sisters attended the Vansickle school, from 1930- 1936 Her teacher was Miss Lucy (Wing) Buchanan Although the school was small, at that time its enrollment was around 40 pupils.